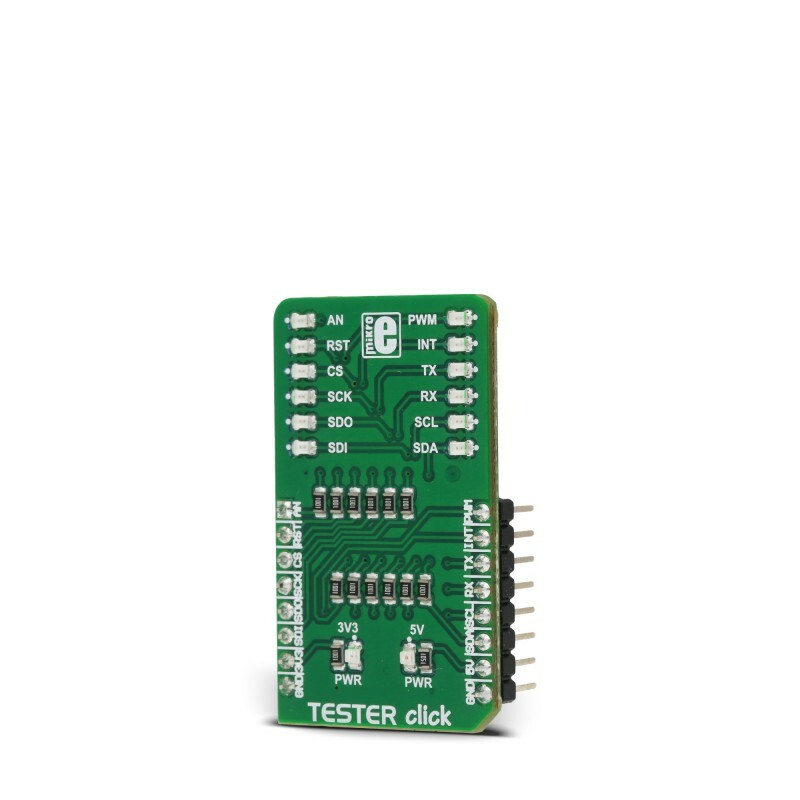 Tester click is a Click board™ used as a diagnostic tool on the mikroBUS™ socket. 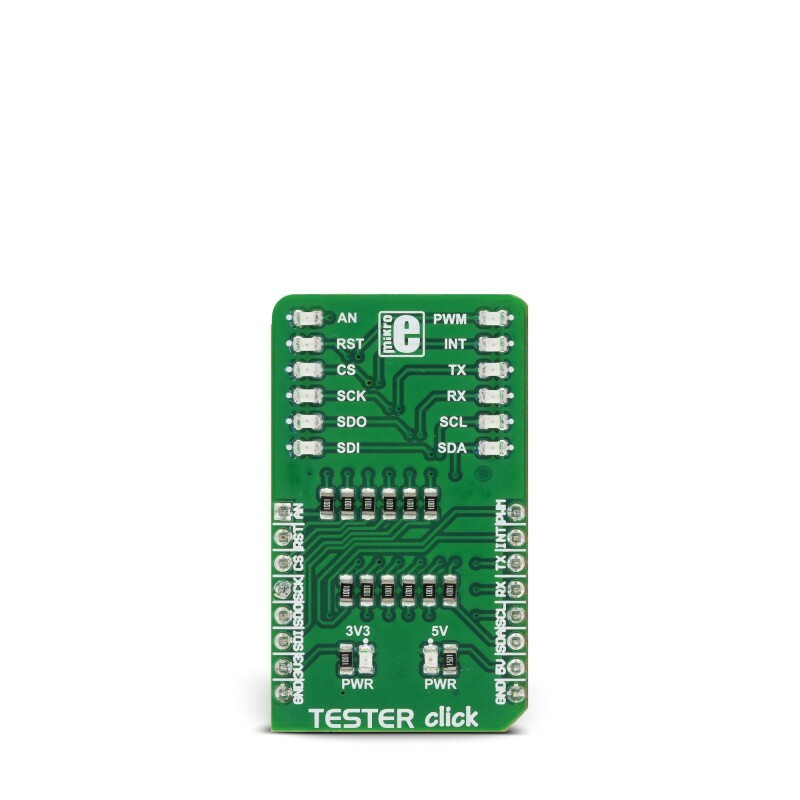 It contains an array of 2x6 LEDs, which signalize the presence of the HIGH/LOW logic level on each pin, providing a visual feedback to the developer. 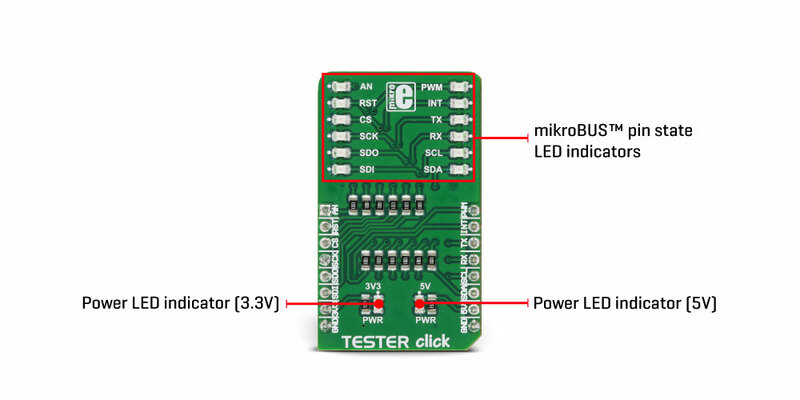 Two additional LEDs indicate the presence of +3.3V and +5V on the mikroBUS™ power rails. 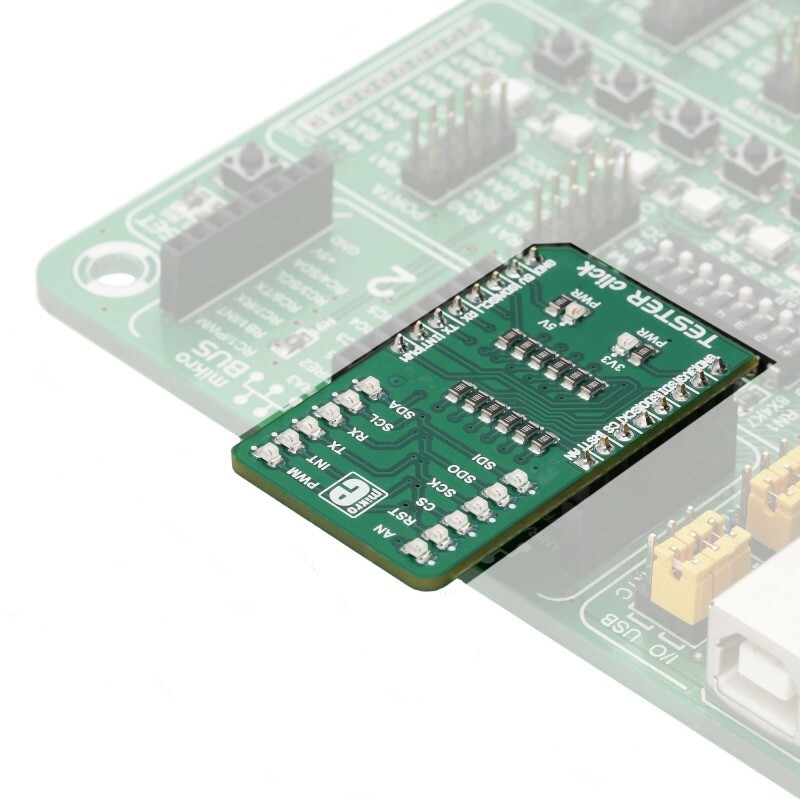 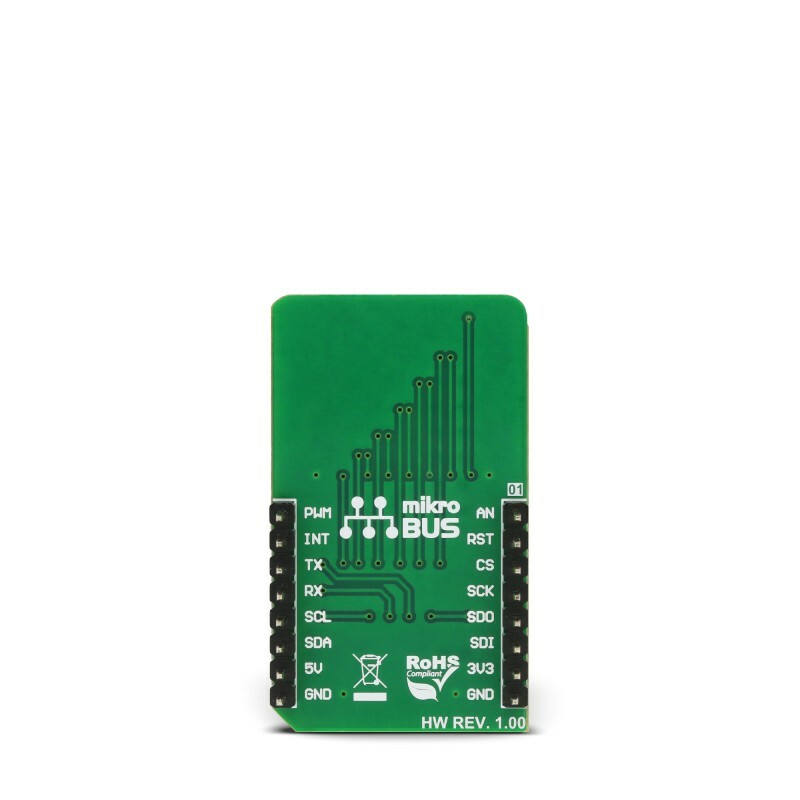 This simple diagnostic tool can save hours of troubleshooting, saving the application developer from having to connect various complicated measurement instruments, only to test logic states on the specific mikroBUS™ pins.